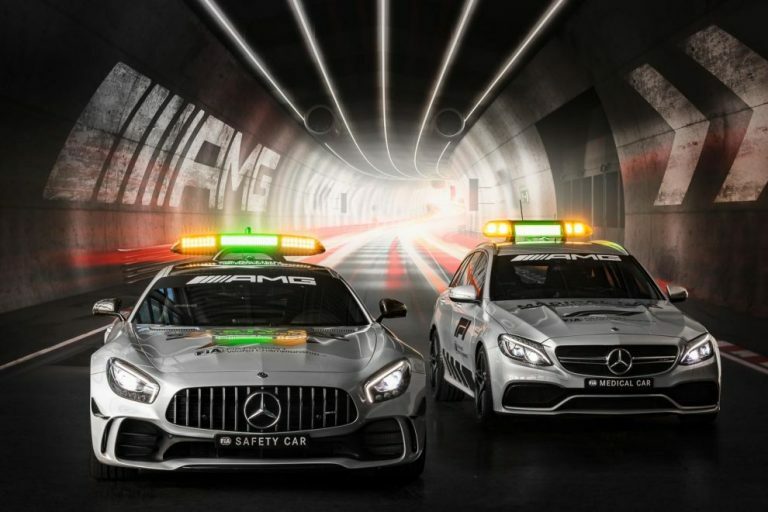 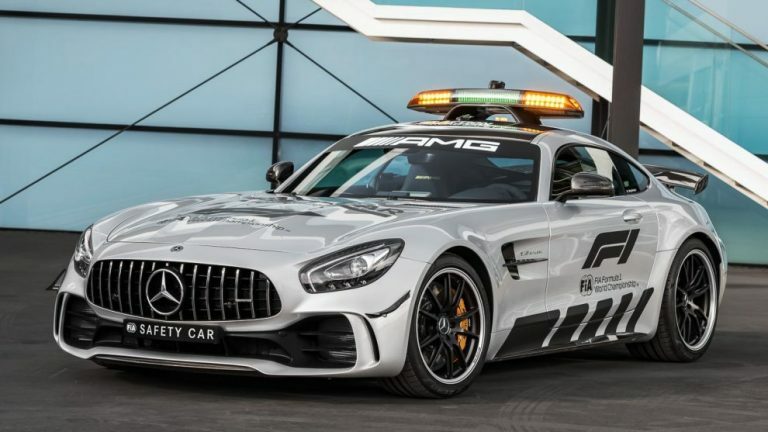 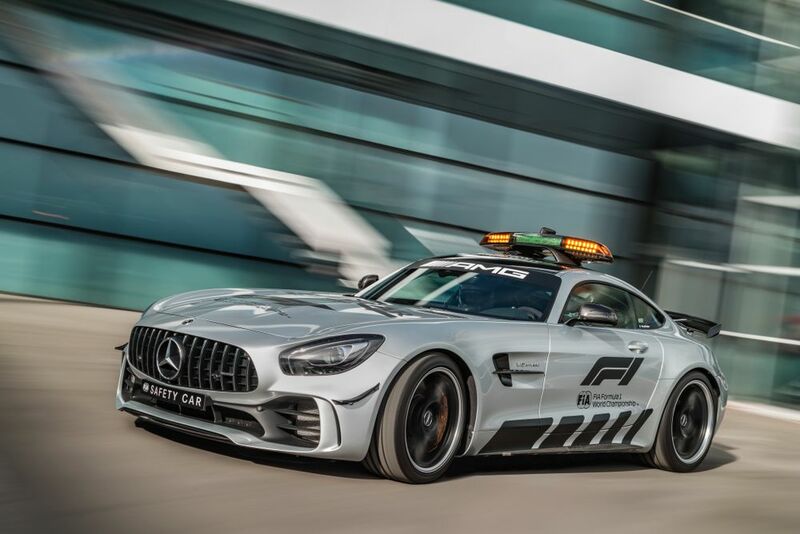 You must have guessed it already that the new Formula 1 safety car is now a Mercedes-AMG GT R. The latest F1 safety car will be filling circuits all around the globe with its insane exhaust noises from it’s 577 hp V8 starting off at the opening round of Australian Grand Prix 2018 season. 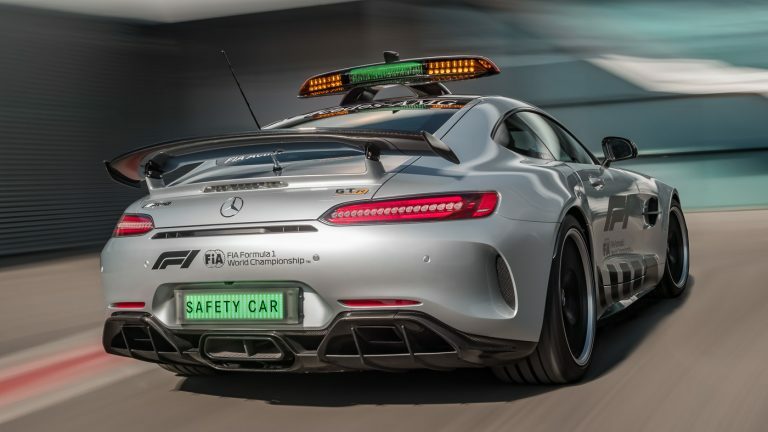 For those who miss the good old days when F1 regulations weren’t that strict and we got to hear those cracking noises from V8 or V10 engines, this safety car might be the one for you. 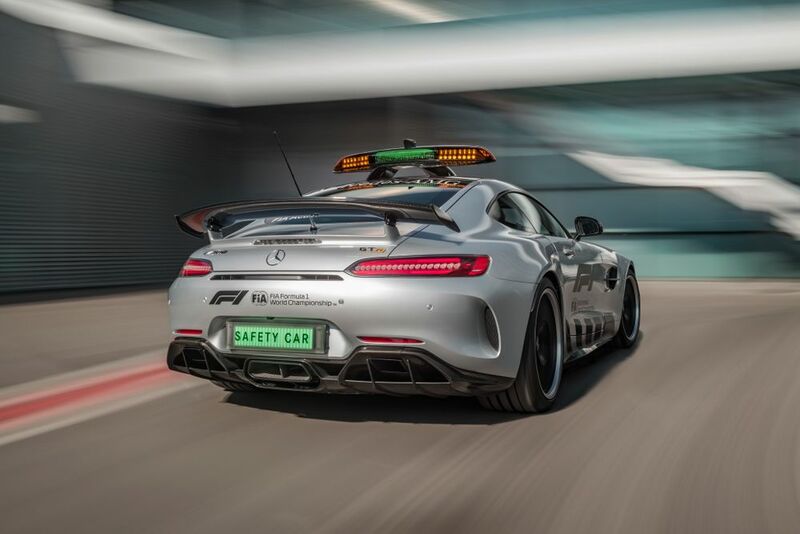 Who wouldn’t like a AMG GT R flying down the track with it’s glorious V8 producing all sorts of noises. 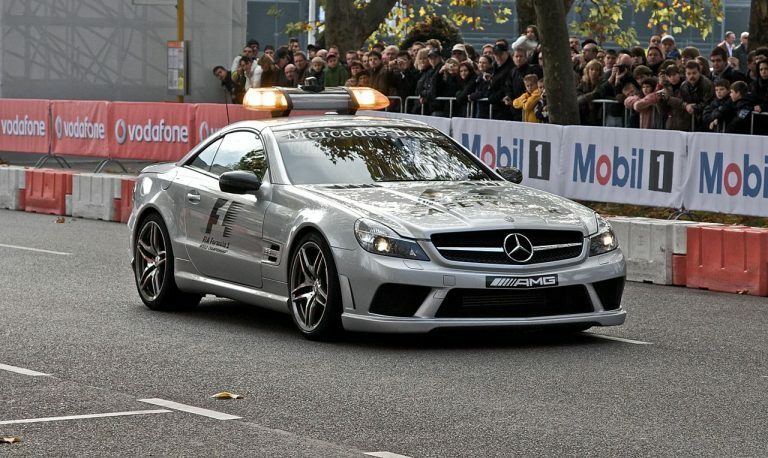 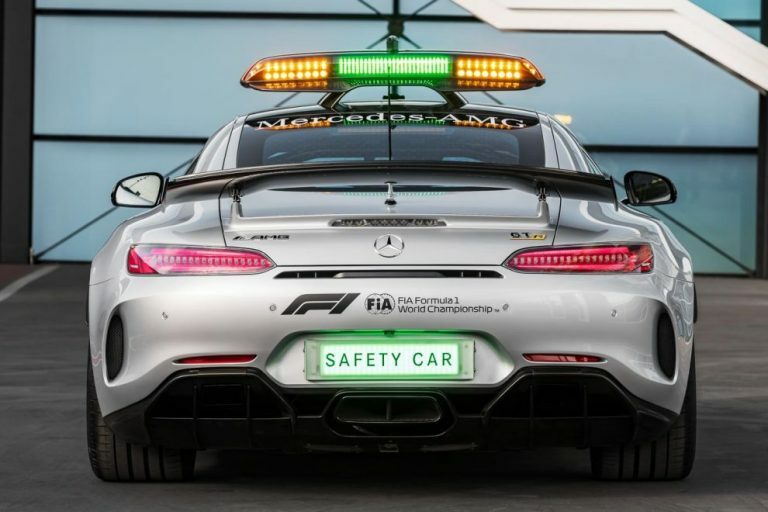 The purpose of a safety car is to safely lead the cars in case of any accident or bad weather so why need such a powerful beast, well because F1 cars aren’t meant to go slow. The current safety car AMG GT S has already spent three seasons, so it was definitely time to upgrade to a more powerful meaner version. 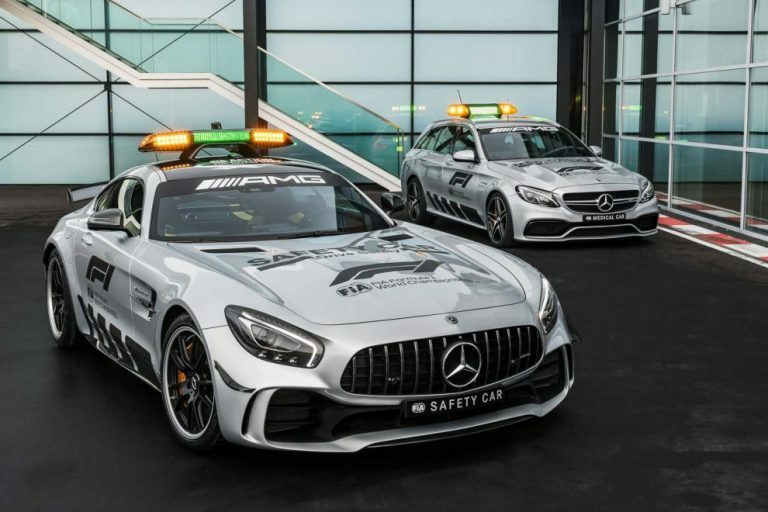 So here is a look at the current safety car and a few of one which served before this one. 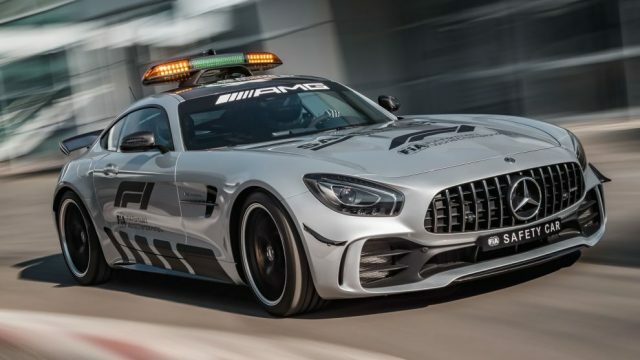 The new AMG GT R is now officially the most powerful F1 safety car yet. 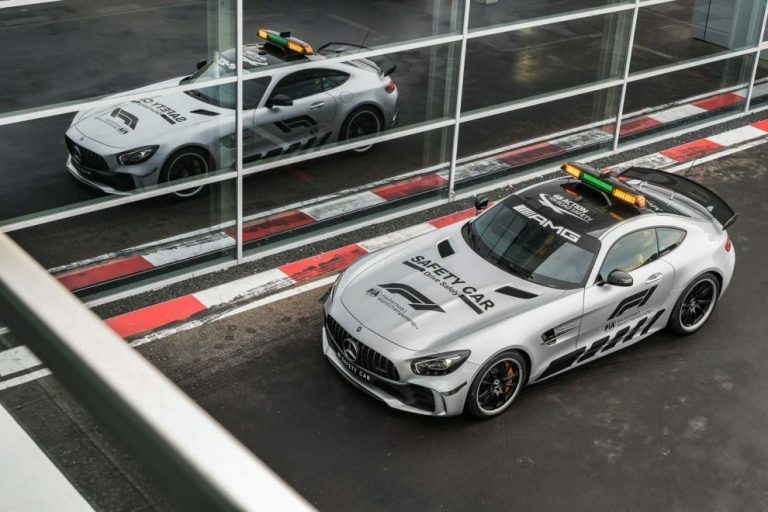 Other than appearances, it is identical to the road legal AMG GT R with a monstrous 4.0-litre twin turbo V8 producing 577hp and 700nm of torque. 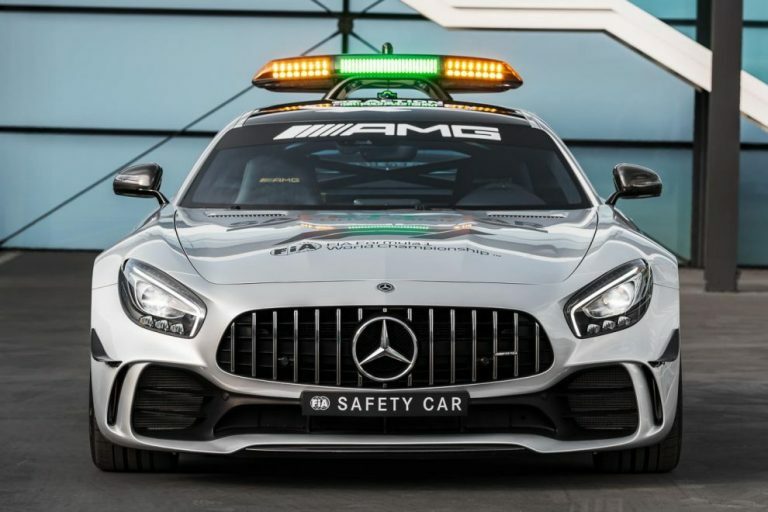 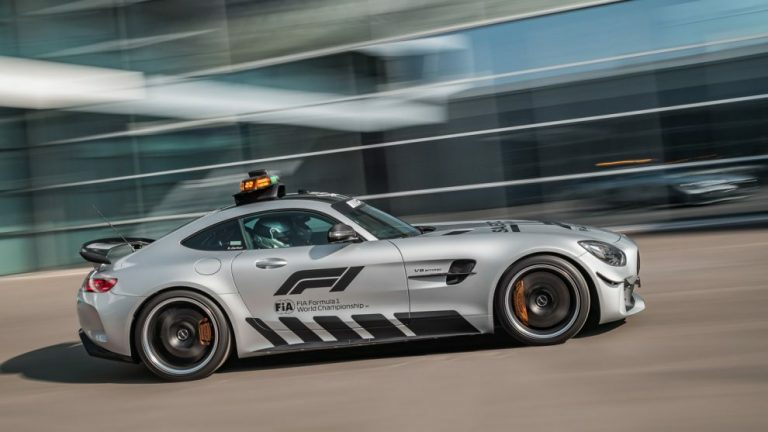 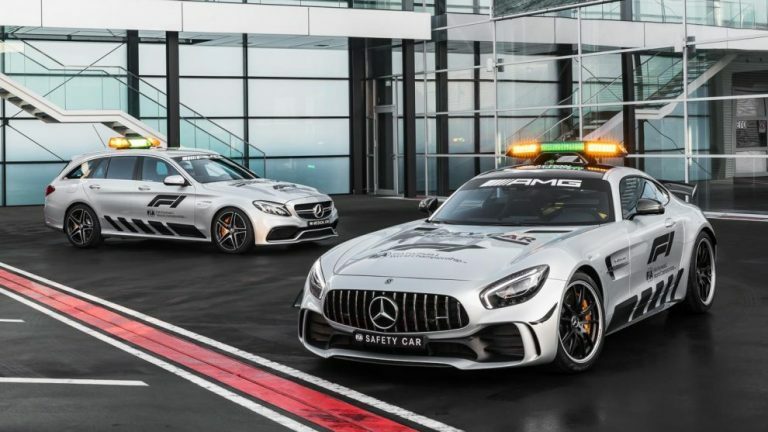 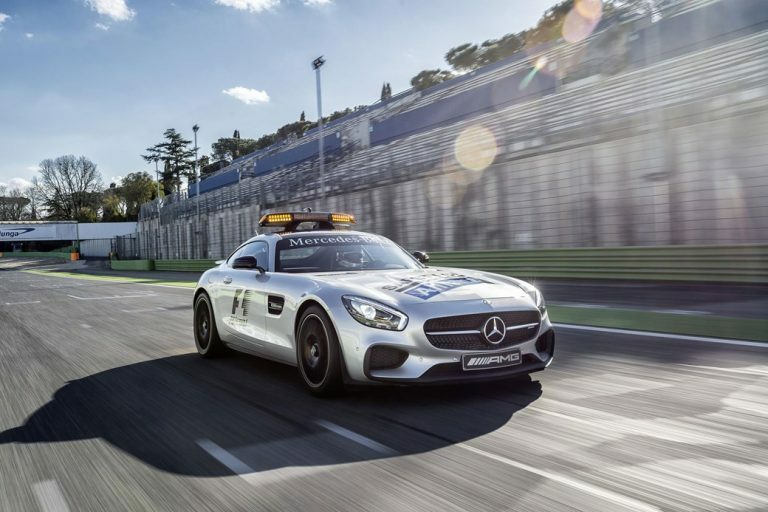 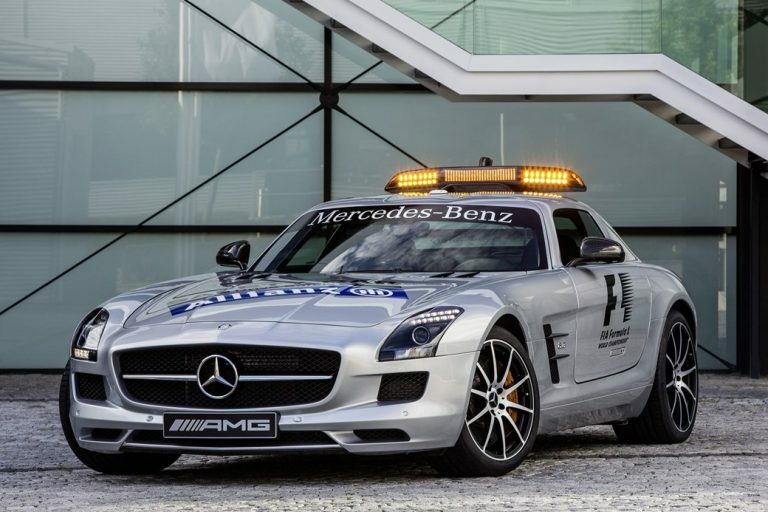 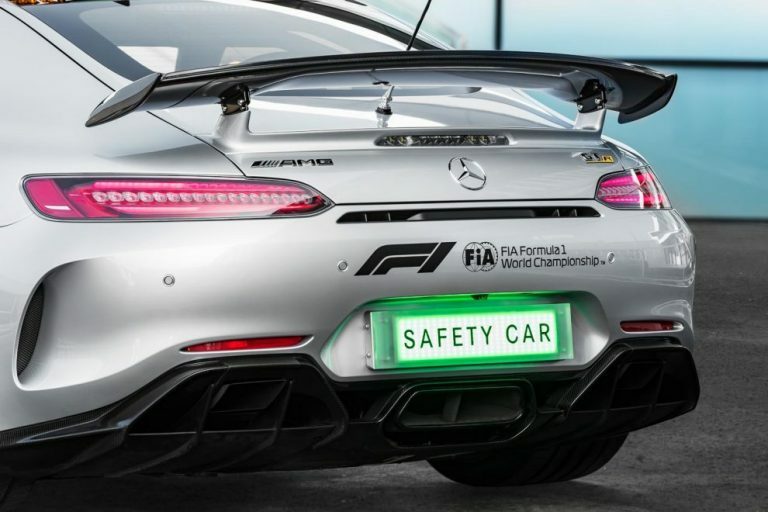 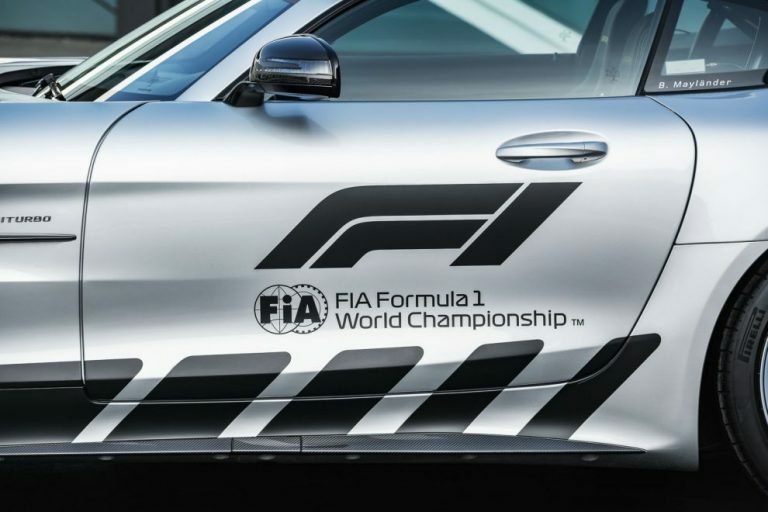 The safety car has been given an optional AMG track package which includes an F1 spec roll cage, a fire extinguisher and a four-point seatbelt harness. 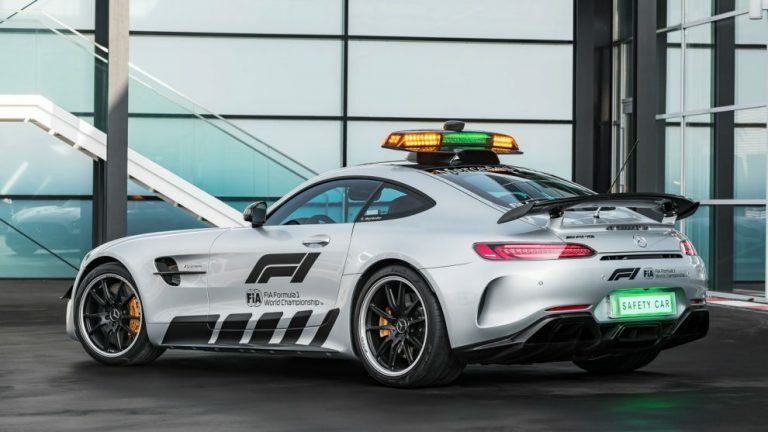 On the exterior you can see the upgraded carbon ceramic brakes, a flashing light bar, placed on top of a carbonfibre air scoop designed to offer the least possible air resistance. 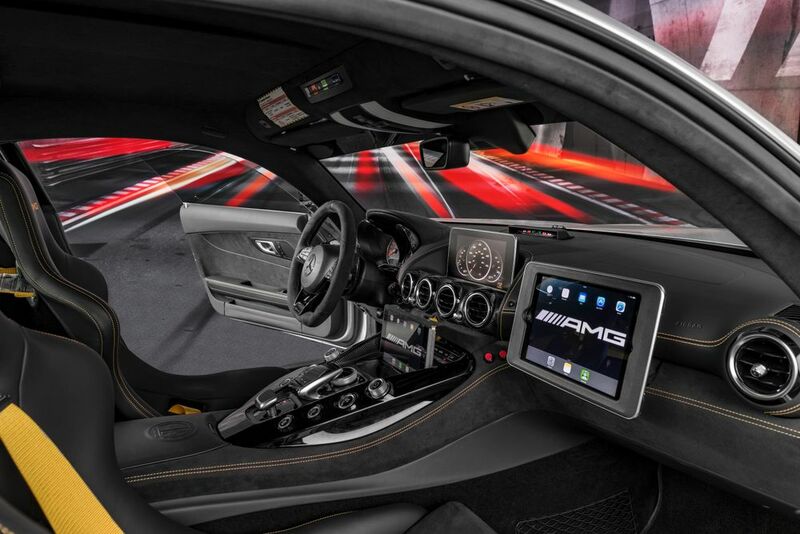 On the inside, the first thing you notice is the multiple iPad type screens which the co-driver can use to keep and eyes on all the racing cars, the left one is for the TV broadcast and the last one can show lap times and positions of all race cars. 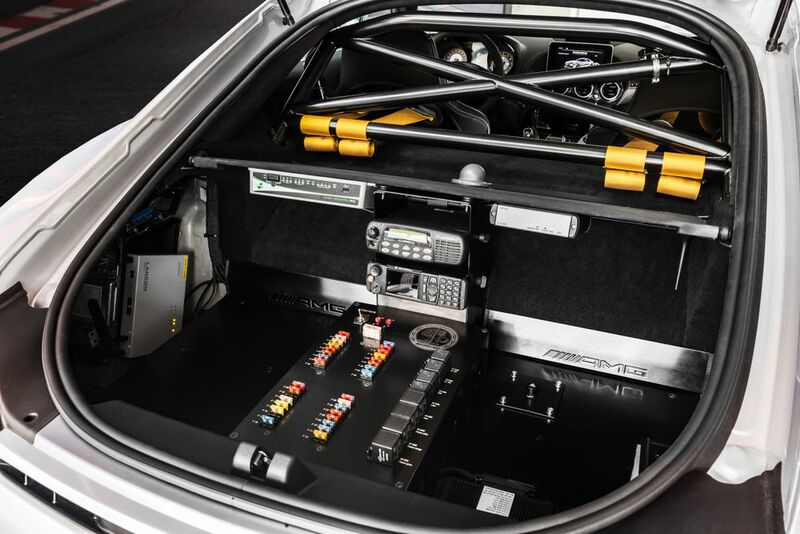 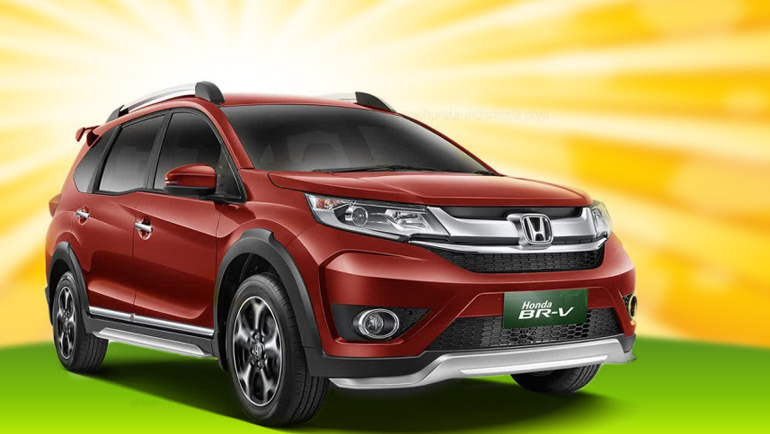 The car also includes a Wi-Fi hotspot and an on-board radio system for communication.